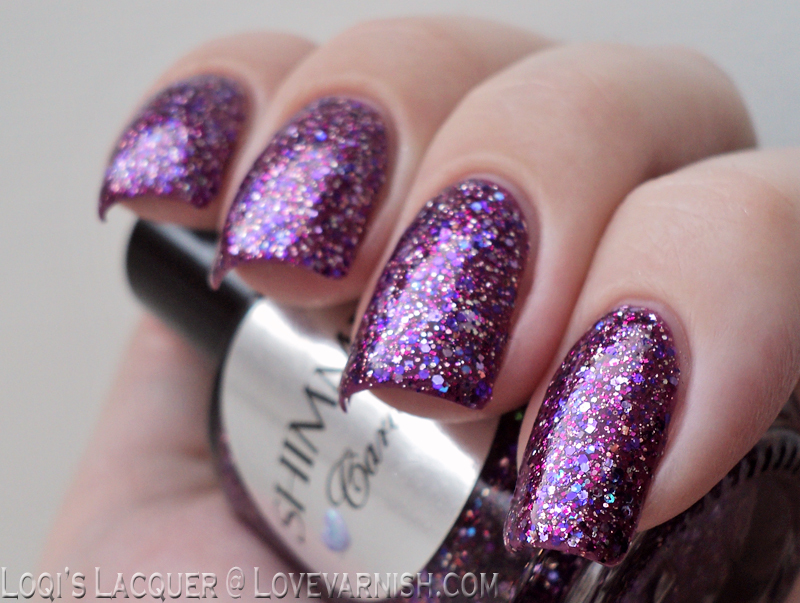 If you look pink and purple, you'll love this Shimmer polish! And there is another gorgeous shade included in the original review, so be sure to check that out as well. Swatches & Review - The F.U.N Lacquer 1st Anniversary Collection! Tuesday Swatches & Review - The F.U.N Lacquer 1st Anniversary Collection! F.U.N Lacquer knows how to create sparkly pretties, and Million Dollar Dream (H) from the 1st Anniversary collection definitely fits that description. Check out the other 6 shades in the original post! If you like delicate white polish with a twist, this one might be something you'd like! If you prefer a bolder color, check out the post for more polish like this ;-). If you like pale creamy shades, Polish My Life has you covered. The formula is amazing as well and they work so well with other shades :-). Yup, more Polish My Life nail art :D! 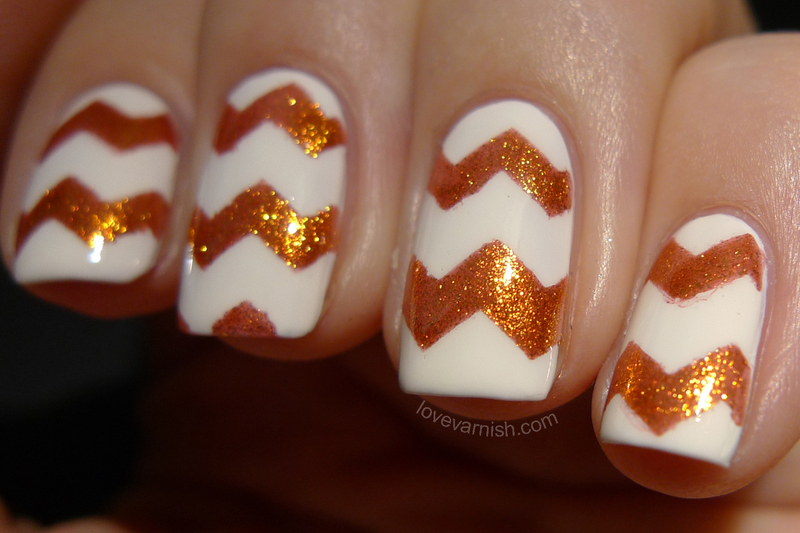 This time a chevron design created with vinyls from She Sells Seashells.